Backup quarterback Jimmy Clausen stood in for injured starter Jay Cutler last week, and the Chicago Bears were shutout by the Seattle Seahawks, 26-0. This week, the Bears are getting a lift. Cutler, who’s hamstring still isn’t fully healthy, is "gutting it out" for the team’s Week 4 matchup versus the Oakland Raiders, according to FOX Sports NFL insider Jay Glazer. Cutler was not listed with the Bears’ inactives for Sunday’s game against the Raiders, confirming Glazer’s report. 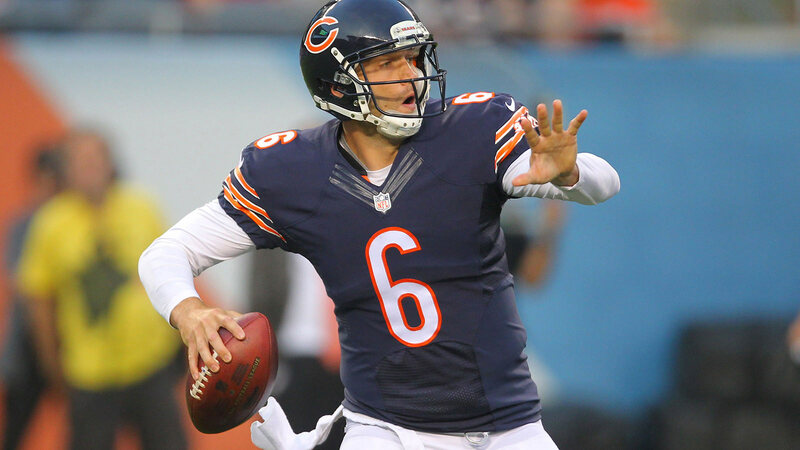 Cutler injured his hamstring trying to make a tackle during an interception return in Week 2 against the Arizona Cardinals. The veteran quarterback has 345 passing yards, two touchdowns and two interceptions through a game and a half of action so far this season.